"They use a huge army of provocateurs and agents in social media." 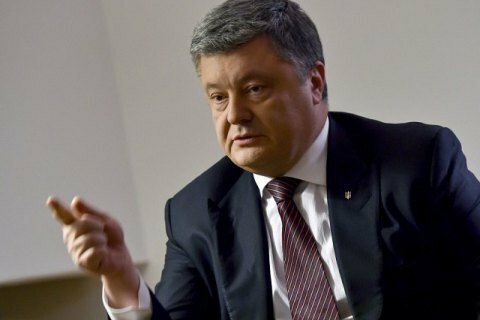 There is a danger of Russian interference in Ukrainian elections and this danger is "extremely high", President Petro Poroshenko has said in an interview with The Financial Times. Poroshenko said he was trying to protect Ukraine from "the dangers of hybrid war, including the system of their [Russian] fake news, [and] using social media". He said Ukraine was studying German and French legal tools against fake news. "We have an absolutely wide range of dangers [from] Russia, starting from the fact that we stopped more than 400 terrorist attacks by a training camp in Russian Federation. Everybody should understand that it is not a frozen conflict. This is a real hot war. We’re attacked, every single day, they go with snipers and try to kill my soldiers. It’s absolutely crazy behavior," he said. He added: "They use a huge army of provocateurs and agents in social media. And that’s why I do things like stop Russian TV broadcasting and stop the Russian social media, because they use it for propaganda war." According to Poroshenko, Ukraine has an effective cooperation from secret services with partners from the United States, Canada and Great Britain. "I’m proud that we have trust there. But there’s lots of work that should be done," he said.